The timing is very wrong. Just last week, few days to Christmas, the National Bureau for statistics (NBS), released its latest Labour force statistics. Total number of the unemployed increased from 17.6 million in Q3 2017 to 20.9million in Q3 2018. Official unemployment rate moved from 18.8% in Q3 2017 to 21. 3% in Q3 2018. Unemployment plus underemployment reached 40%. Before this unpleasant news from NBS, the UNDP had announced Nigeria as the new World Poverty capital with 53.7% of its 180 million Nigerians living in EXTREME Poverty. That is to say that nearly 97 million Nigerians( those working and those not working) live on less than two dollars a day( 700 Naira). India with about four times times Nigeria’s population now has about 71 million people in that category. With Nigeria’s GDP growing at 1.8% and population growing at 2.5%, this is bound to happen. Perhaps this helps to explain why,in the last two weeks, I have constantly been on my Diamond Mobile bank App transferring money to different people in different parts of the country, who have accompanied their pathetic stories with their account numbers. An acquaintance of mine in Kaduna sent me a text message: “Mazi, pls in the name of Jesus Christ, kindly find a place in your heart to assist me this Christmas, as I sms you, not a single pepper do I have at home....your widow’s might will do a lot. Below is my account details”. Single pepper? That is the pattern of most of the messages that pour into my phone repeatedly. Last Friday night, I promised a cousin of mine in Portharcourt that I would send him something to buy rice and chicken for the children after a lengthy cry of woes. That night I tried using my app, the bank said they were doing maintenance and so could not go. This ‘desperate’ cousin of mine had called seven times and the eighth call woke me from sleep. Why the apparent harassment? ; he said he had told the children and their mother that I was sending them something for food, and everybody kept a vigil waiting for the alert! This is the damning reality of today! I can bet that my situation is not exceptional. I am wondering what our politicians are going through now? If a retired man like me is facing this deluge of desperate calls for help, I can only imagine what politicians and office holders are facing this season. And coincidentally this is elections season. And some people who have no idea of what the reality is on the ground are talking about banning or legislating against vote buying. How long have we legislated against the police collecting bribes or extorting road users in the open on our highways? Who is obeying? and yet the Nigerian Police authorities can not do anything about that, let me see how legislation against vote- buying can be enforced. Recently I read a story( I have also read such reports in the past) that the IG asked that all check points be dismantled in Nigeria. I travelled from Portharcourt Airport to Owerri to Umuahia to Arochukwu last week and I passed more than 30 police checkpoints and they were all busy collecting cash and in some cases returning change in the full glare of all. I then wondered if this area was still part of Nigeria and within the jurisdiction of the IGP? But when all is said and done, the situation with Nigeria Police is only symptomatic of what is wrong with Nigeria. Before I left lagos, I met many of my friends from the South East and when I asked when they were going home, I was shocked that an unusual number said they were going no where, some said they would travel home after Christmas and those that indicated they would travel for Christmas, said they were not going in full force( that is to say they would leave some of their family members behind). What about who would host the meetings at home? No volunteers !. That’s when I knew that Latin has moved from ‘Mensa’. Yet the cost of transportation did not come down, neither has the cost of foodstuff. Eventually we blackmailed some who have recently received arrears of salary in ABIA state to at least host the compound meeting. The redeeming feature in all this is that the Federal Government is aware of this persisting challenge. And despite the Large social spending and the efforts in implementing the Economic recovery and growth plan, the continued worsening of unemployment and poverty must be embarrassing the government. Perhaps that’s why President Muhammadu Buhari has asked Nigerians to show understanding, be patient and give him more time to solve this apparently intractable problem. That is hoping that Nigerians have not reached the limit of their patience. But what ever may be their verdict on February 16, 2019, the critical issue now is what to do to enjoy this Christmas. My first suggestion is to encourage all those who have, to make efforts to share with those who do not have. The Bible said that” those who lend to the poor, lend to the Lord “ and that the Lord will pay them back bountifully. I saw MTN giving out Ten thousand Naira to passengers on Arik flight. What a good gesture. I hear they also went to motor parks. I hope they went to the rural areas as well. But that is the kind of gesture we badly need to help many of our countrymen enjoy this Christmas. Secondly, I urge the suffering Nigerians to accept the invitation given by the Lord Himself whom we celebrate His Birth at Christmas “ Come unto me all ye that labour and are heavy laden and I will give you rest”. This in my view is the surest way to forget about problems and pains of the economy. Because in Him “ there is liberty and fullness of joy”. 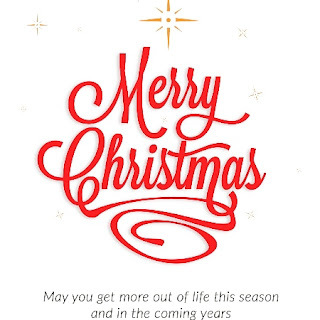 Merry Christmas Nigerians!